There are certain things that are a part of just about every holiday. Family, of course, is one of them, but I’m talking about the little things that you might not always notice. For me, one of those things is Kleenex tissues. Yeah, that’s right, I said Kleenex tissues. For instance, when my hubby and I decided to use “World’s Best Grandma” and “World’s Best Grandpa” shirts as Christmas gifts to announce my pregnancy, there wasn’t a dry eye in the room. But Kleenex was there. Speaking of Kleenex, Walmart has four-packs with a $4 off coupon for Vudu.com. Being a fan of watching movies using Vudu, I immediately added the tissues to my cart. 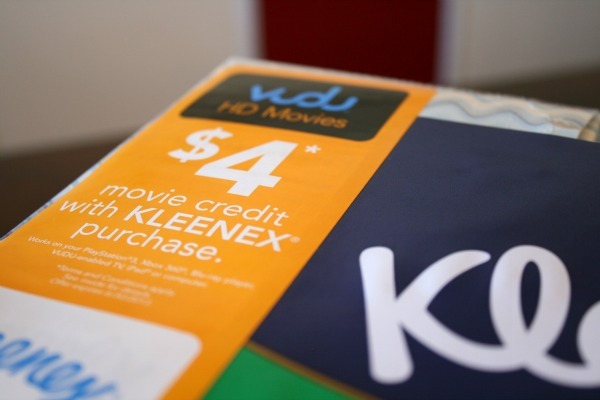 If you think about it, the partnership between Vudu and Kleenex is pretty clever. When you’re sick, you need tissues, and what’s better than a good movie when you’re laid up in bed all day? 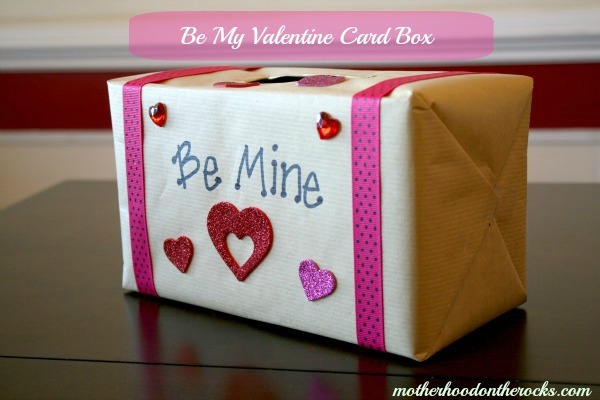 In addition to using the Vudu coupon to watch a movie, I also had an idea for a Valentine’s Day craft that our little one would definitely enjoy. 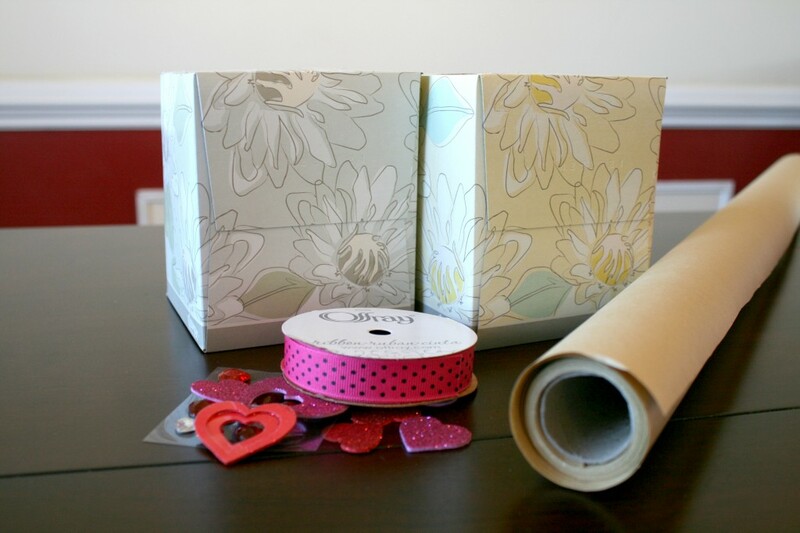 For the Valentine’s Day Kleenex craft, I decided to make a kid’s Valentine’s card box. Remember how exciting Valentine’s Day was when you were a kid? When I was a little girl, it was one of my favorite holidays and I couldn’t wait to give and receive cards from all my classmates. If you’re unfamiliar with Vudu, it’s pretty simple to use. You can buy digital movies on the site and watch them on your computer or connect your computer to your TV and watch them on in all of their high-definition widescreen glory. Signing up on Vudu is a breeze and redeeming your $4 Vudu coupon is simple, too. Just visit Walmart, enter the promo code on the coupon, and follow the on-screen instructions! It’s super easy. 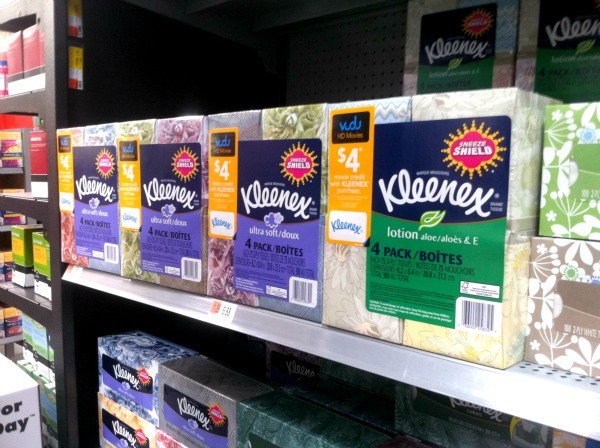 For more details about my Kleenex adventure and detailed instructions to redeem your coupon, check out my Google+ album. We ended up watching Brave and as I suspected, it was a really cute movie! Love the look of your box! My kids at school are going to need boxes so maybe we’ll put the kleenex boxes we’ve been saving to good use! I am so not crafty but that looks super cute and easy to do!! Great activity! I love it! That Valentine tissue box is so cute!!! My little guy has to make one for preschool I’m going to use this idea! Vudu is awesome! I love that we can watch pretty much any movie we want right from the computer or stream it to our TV. And it’s easy to do, too. You made that look so cute! Good job! That is a super cute idea! Good job! I remember making these when I was a kid, and now that I our oldest is in Kindergarten, it is time to do it again!! AND to get movie credits, that’s just a bonus!! With four kids we don’t get out of house much to go to movies! oh, and yours turned out sooo cute!! 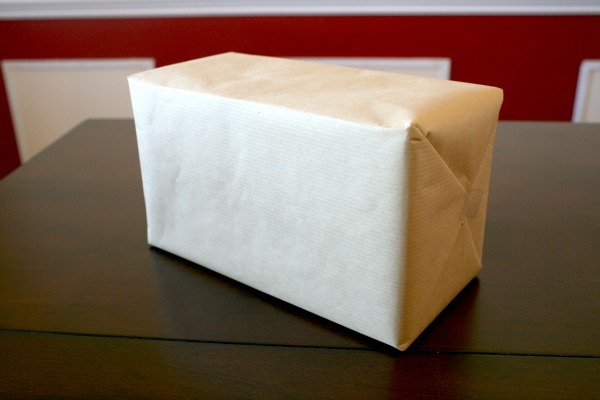 Great craft to recycle the Kleenex box. Looks very easy to do. That is an awesome way to repurpose a Kleenx box! Definitely! A good movie and jammies! This is a great craft. I have never heard of Vudu but definitely going to go check them out. I think you’ll really like them. Like I said, if get the Kleenex with the coupon, you get $4 off, so you can rent one very cheap! ha! My little one isn’t in school either, but she loves to play with it and we’re putting little trinkets, candy and a card in it for her to open on Valentine’s Day. I love Vudu! We watch our movies that way. Cute Valentine box, btw. It is about that time again, isn’t it? Yes, it is! This month has flown by. Fine by me though, that just means we’re closer to summer! That box is so cute! Perfect for those office valentines parties. Oh I didn’t even think about office parties! Great idea! What a cute idea!!!! Love it. And your blog is absolutely beautiful! Thanks, Julie! I just got a makeover yesterday! Thanks for all the lovely comments! It warms me heart to hear that you guys like the idea! And don’t forget to get the Kleenex with the coupon. Vudu is really easy to use and I think you’ll love it as much as I do. What a very cool and creative project! I love it!! A great idea!!! Love this and it’s simple. We will do this and my 5 yr old will love this! shared on pinterest.